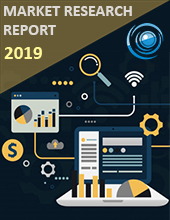 The market has been estimated at USD 11.58 billion in 2018 and is projected to reach USD 14.16 billion by 2024, at a CAGR of 3.7% during the forecast period from 2018 to 2024. Anesthesia is defined as a temporary state of unconsciousness, lack of pain, loss of memory and muscle relaxation. Generally, the word medically means, placed in an unconscious state for surgery. While the word anesthesia may be a relief to some who want to avoid the pain of surgery, the risks associated with medically induced unconsciousness can create fear in others. In Global Anesthesia Drugs Market, general anesthesia drugs segment accounted for the maximum market share during 2018 and will continue to dominate the market for the next four years. It has been estimated that the market will further benefit from the rising incidences of chronic respiratory diseases, cardiovascular diseases, craniomaxillofacial surgeries, and accidents along with the rapid adoption of propofol. North America and Europe Anesthesia Drugs Market dominated the overall Anesthesia Drugs Market in 2018 and is expected to hold its position over the forecast period 2018-2014. The presence of various clinical research labs in North America and Europe working towards the introduction of new anesthesia drugs are also boosting the anesthesia drug market. Increasing number of surgeries, development of new sedative & anesthetic drugs, reduction in the cost of newly invented medications and a decrease in the recovery time after surgery are some of the factors driving the growth of the Anesthesia Drug market. The Global Anesthesia Drug market can be broadly segmented into Type and Routes of Administration. The market is segmented further by type as general anesthesia, spinal anesthesia, IV regional anesthesia, interscalene block, local anesthesia, peripheral nerve block, saddle block anesthesia. Inhalation and injection are the two forms of routes of administration. The growing volume of surgical procedures will drive the growth prospects for the worldwide anesthesia drugs market in future. Analysts predict that the increasing demand for anesthesia in labor is driving the market growth. According to the Centers for Disease Control and Prevention (CDC), the total number of deliveries including vaginal and caesarean are 3,984,502 in the US. Baxter International Inc has been recognized as a Military Friendly Employer for 2018 by Victory Media. Baxter champions veterans’ initiatives through networking, community outreach, military advocacy, recruiting and mentoring. Abbott Industry wins Chicago Innovation Award for a pioneering breakthrough in infant formula.